Fitness, fun and fundraising are all planned as part of the fourth annual Ride for Hope, in support of Hope Hospice. Bill Curtis, the event’s founder, is a longtime Hope volunteer who celebrates his birthday each year by riding his age in miles, and raising funds for Hope Hospice. Four years ago, he invited others to join him, and the Ride for Hope was on its way. The ride is held in November, in observance of National Hospice Month. Proceeds from the ride will help to cover the costs of patient care. Hope Hospice serves everyone in need, regardless of their ability to pay. A new feature at this year’s event will be a raffle for a Xenith Comp, the winner of Bicycling magazine's 2010 Editor's Choice Award for Best Recreational Road Bike. The bike is valued at more than $2,000. Raffle tickets may be purchased on line or at the event for $25. Hundreds of new and gently used dresses from the recent “Love That Dress” event held by the PACE Center for Girls are now available for purchase at Hope Chest Resale Store in North Fort Myers. Dress sales will continue through a joint partnership between the PACE Center for Girls and Hope PACE (Program of All-Inclusive Care for the Elderly). Items include formal wear, wedding gowns, business and casual dresses in all sizes and styles, along with accessories. Proceeds from the dresses sold at Hope Chest are shared by the two organizations. Though unaffiliated, the two organizations have much in common: they both focus on adding quality to the lives of others. While the PACE Center for Girls supports young women, Hope PACE helps people 55 and older who are seriously ill remain living independently. Hope PACE also focuses on support for caregivers, a role traditionally filled by women. Local runners are now making plans to participate in one of the most popular marathons in the country – the ING Miami Marathon/Half Marathon, to take place on January 29, 2012. For many of them, it will be a Run to Remember. The National Hospice Foundation’s Run to Remember program is a Participating Charity Group for the ING Marathon, enabling runners to support Hope Hospice. It can also be a memorable way to honor a loved one. 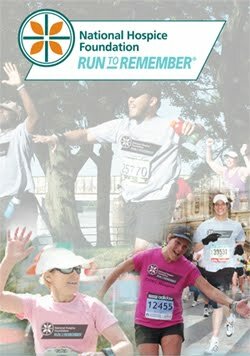 To participate in Run to Remember for Hope Hospice, register at no cost at www.runtoremember.org. Participants set up a personal Web page. Family, friends, co-workers and others should be encouraged to visit the site and make an on line donation in support of the runner. Fifty percent of the proceeds will go to Hope Hospice, to help care for everyone in need in the local community. The other 50 percent will go to the National Hospice Foundation, to support the work of hospice nationwide. The ING Miami Marathon and Half Marathon course is known as one of the flattest, most scenic courses in the country. More than 20,000 people from around the world are expected to participate.